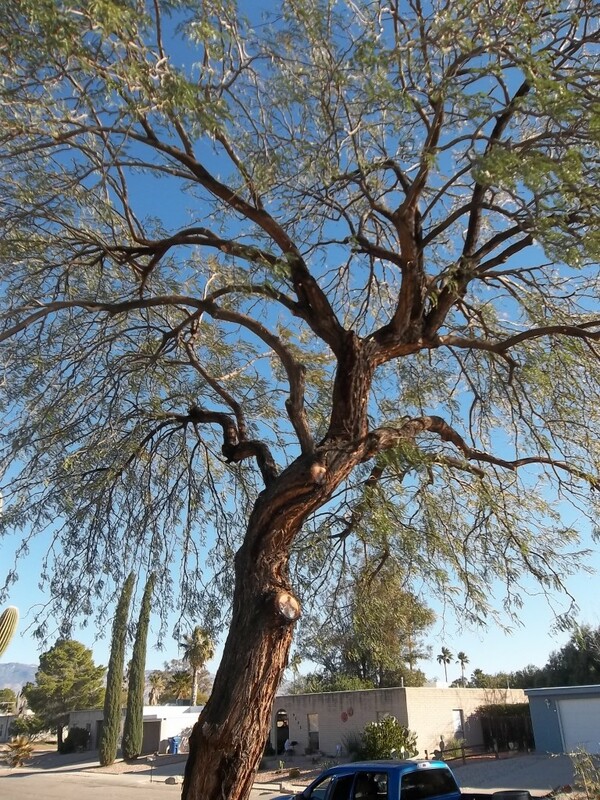 Mesquite Before. Much dead material and crowded/rubbing branches at the tips. 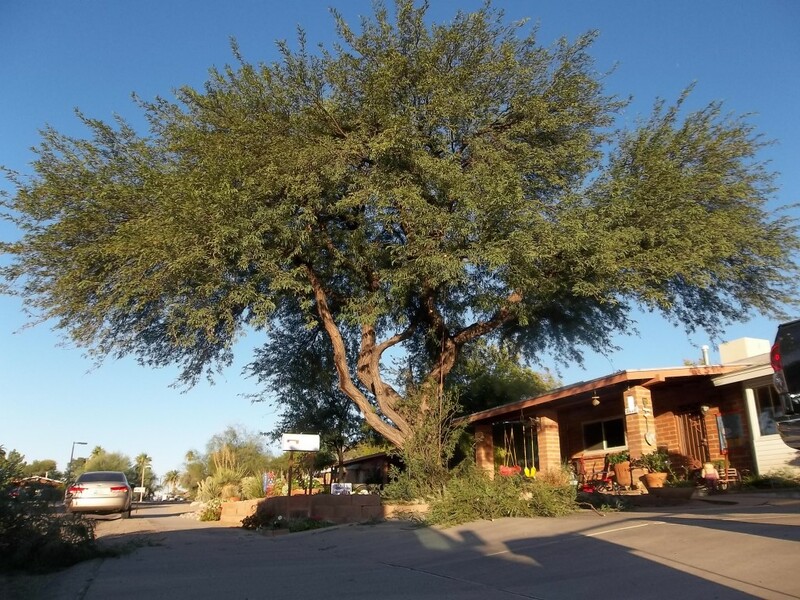 Another couple years without service and limbs would be sure to fail in high wind. 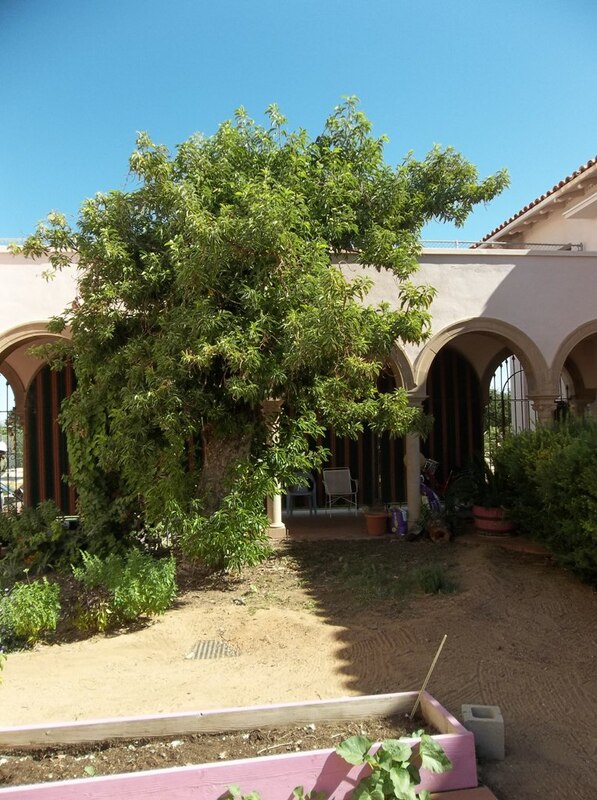 Mesquite After. Evenly spaced throughout the canopy. Tip pruning reduced weight/strain helping to raise over walkway. 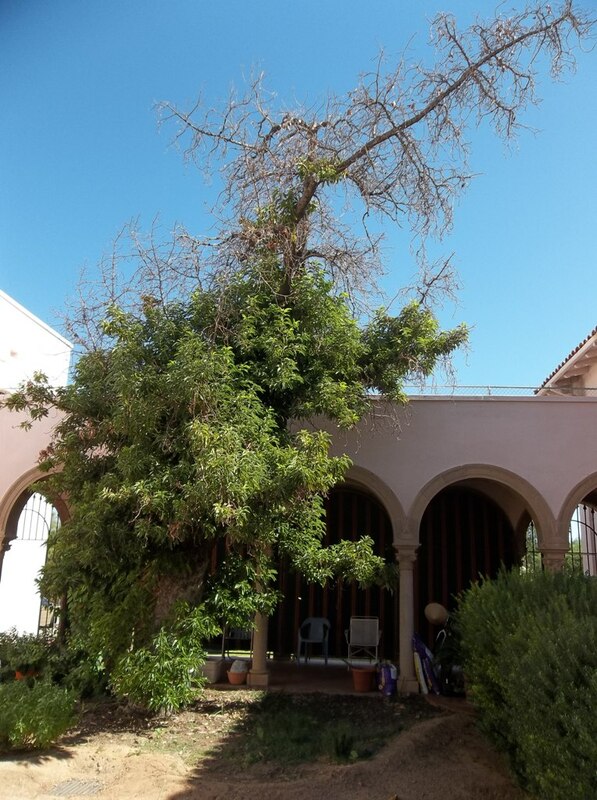 Pruned for good/strong structure with all limbs knowing their place in the canopy. 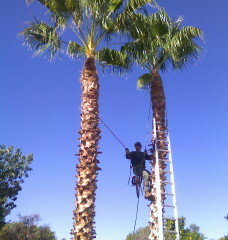 This cluster of mexican fan palms was trimmed and skinned by Romeo Tree Service. 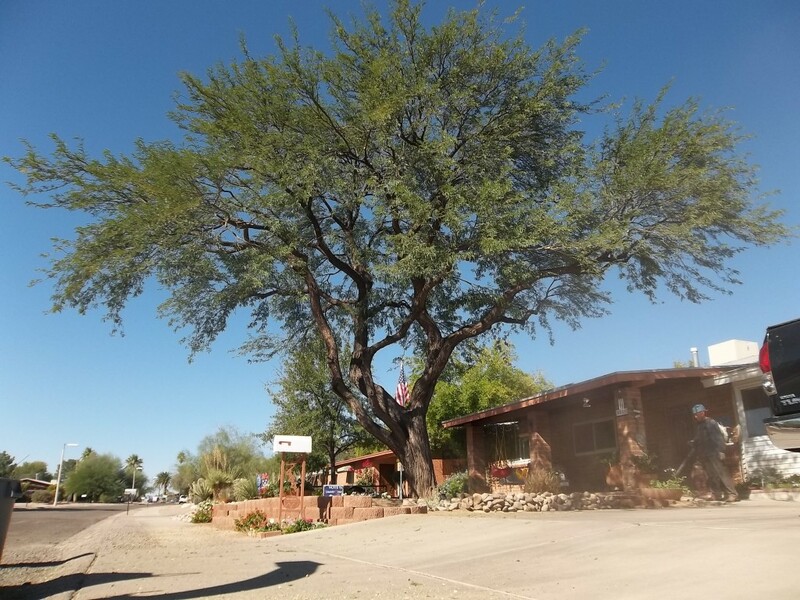 University of Arizona Palo Verde tree cleaned, trimmed and raised by Romeo Tree Service. 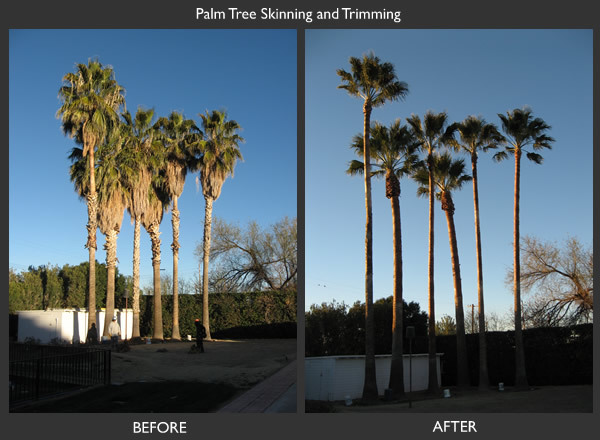 Notice the dramatic difference that adds a pleasing aesthetic to the environment, while simultaneously helping improve the life and health of the tree. 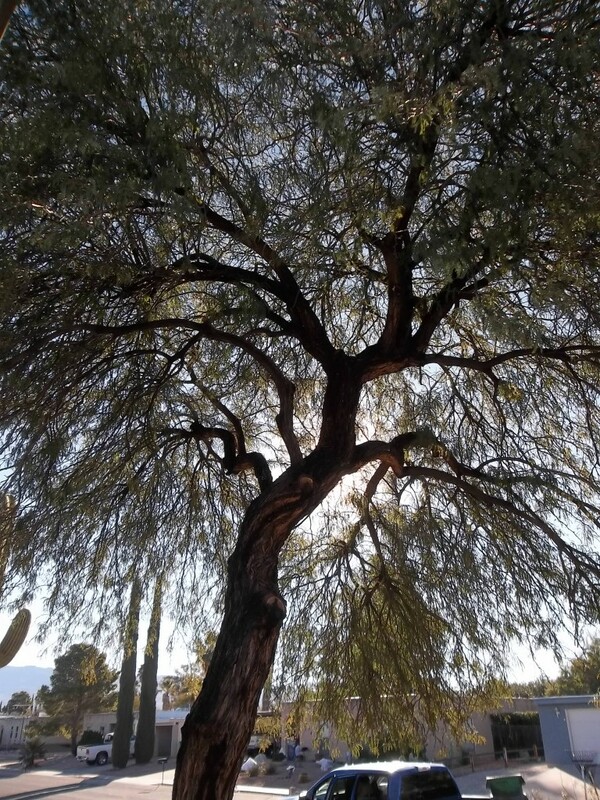 Residential Mesquite tree care in a Tucson neighborhood front yard. 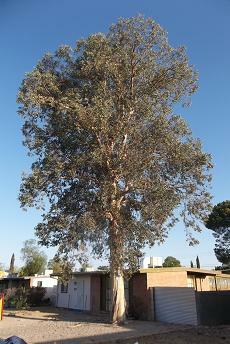 Cleaned and Raised by Romeo Tree Service. 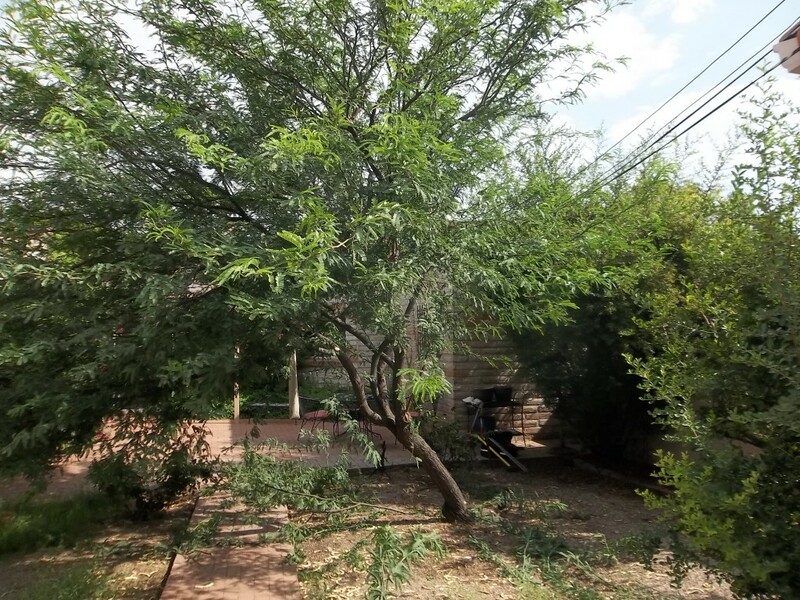 Trees that are well maintained, such as this mesquite after a cleaning and raising, add safety from falling branches and less homeowner yard maintenance from downed sticks and leaves throughout the year. 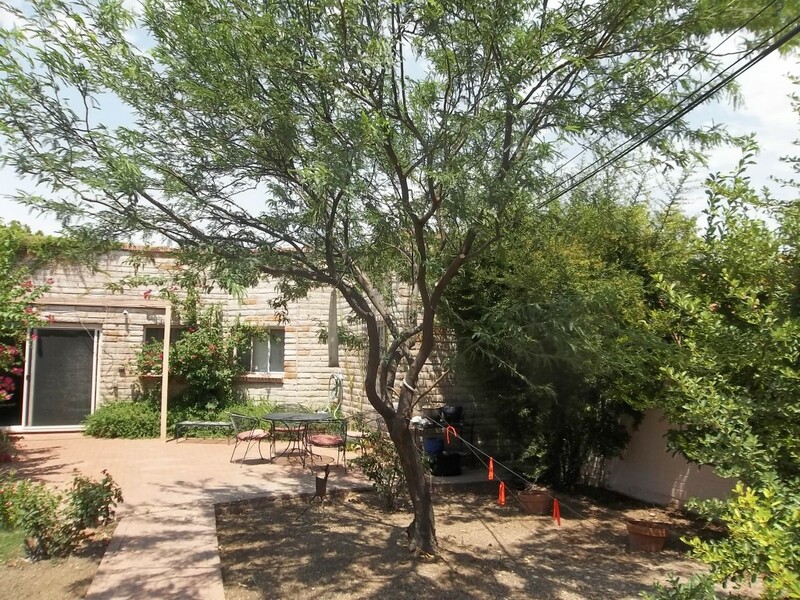 Additionally, the landscaping benefits are quite beautiful, giving an improved healthy attractive appearance to the yard, the house, and the neighborhood as well! 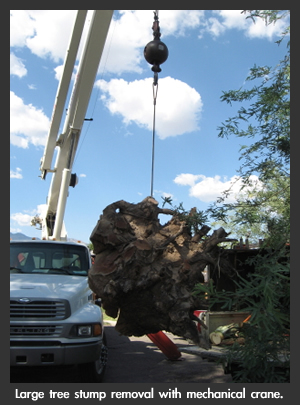 The large size of this stump required specialized equipment, to safely and securely remove it from the property. 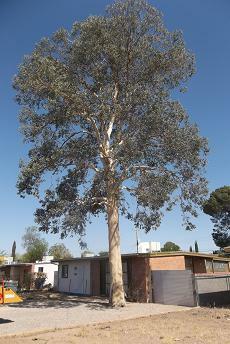 Romeo Tree Service is equipped with the skills and resources to handle big jobs such as this. 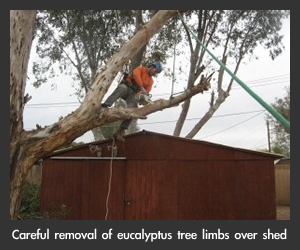 The Romeo Tree Service staff removes a large Eucalyptus limb safely from above a shed, using special harnessing and limb removal techniques to accomplish the job.